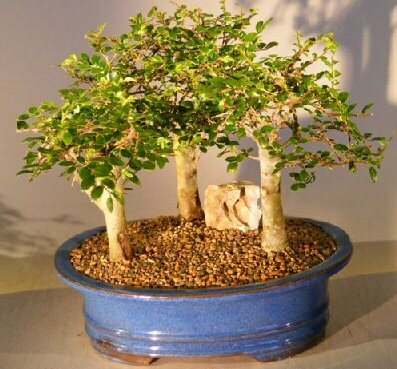 Has small serrated evergreen leaves with excellent branching characteristics. Does very well indoors. Three tree group - each 10 years old. 12" Tall.